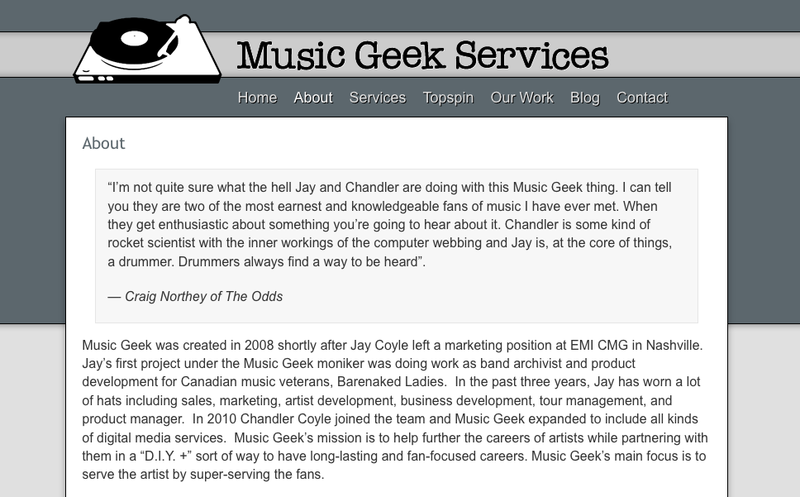 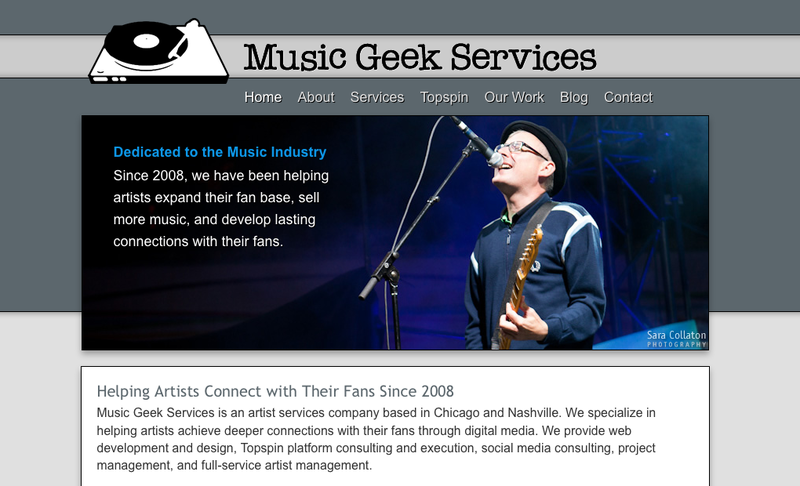 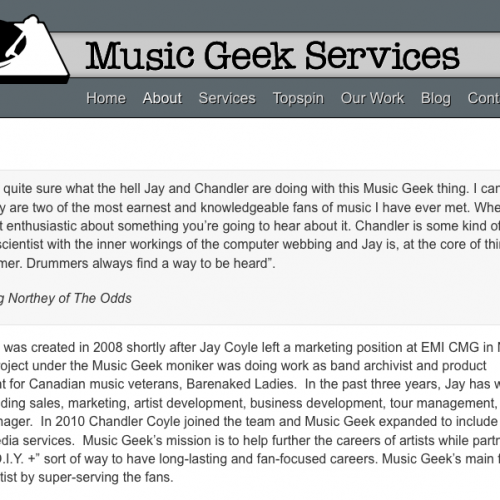 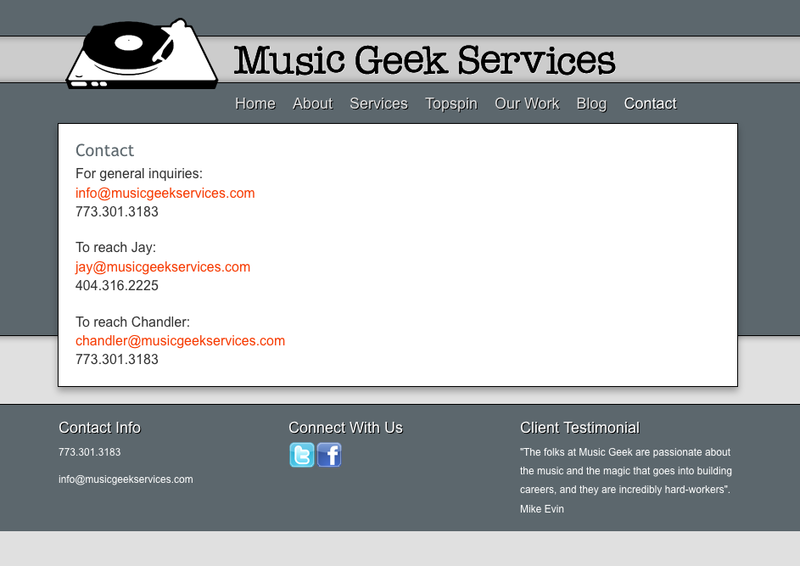 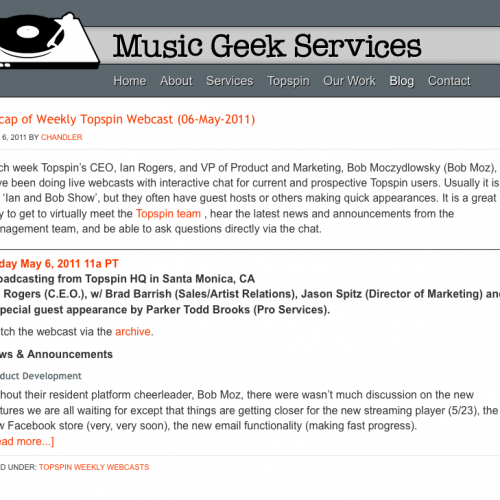 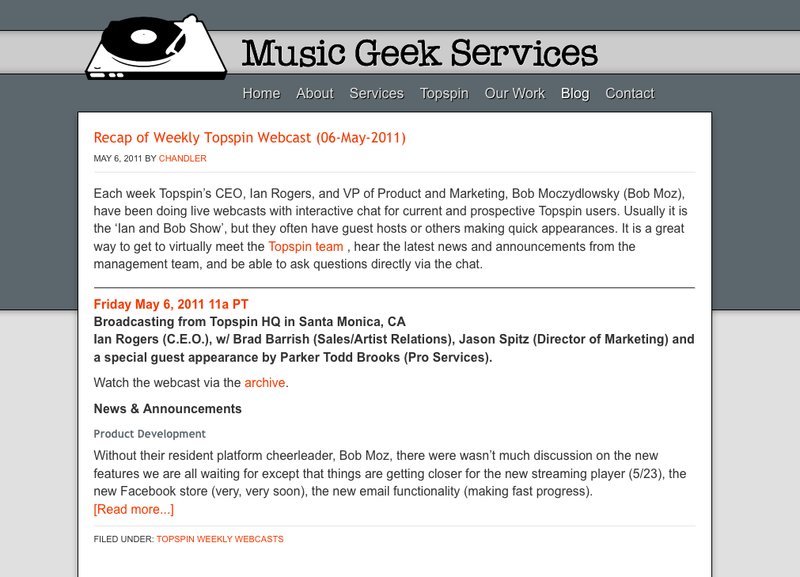 Music Geek Services is an artist services firm based out of Nashville and Chicago, dedicated to the music industry. 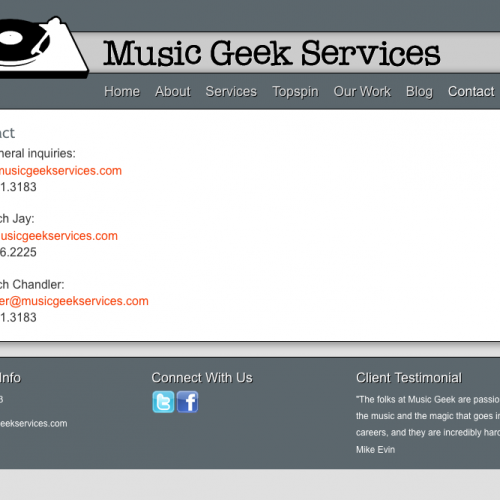 Fezziwig was asked to update the logo and create a WordPress theme for the new MGS web site. 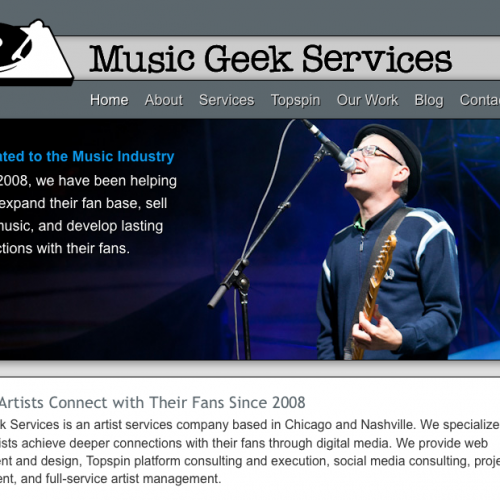 Fezziwig and Music Geek Services chose to achieve the resulting web site by highly customizing a Genesis Framework child theme.